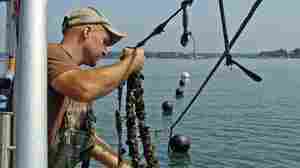 October 12, 2012  Seaweed farms off the coast of Connecticut may provide financial relief for farmers and environmental benefits for the ocean, not to mention tasty inspiration for chefs. The plant is used in many products from biofuels to cosmetics. But the big question is: Will Americans eat the stuff?